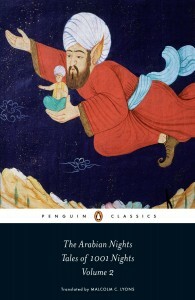 In Disney Story Origins Episode 5, I’ll be discussing the Disney Film “Aladdin” based on “Aladdin or his Magical Lamp”, which is one of many small stories within a large Middle Eastern story called “One Thousand and One Nights” better known us westerner as “The Arabian Nights”. 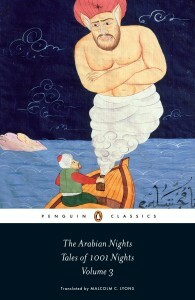 It is the story of a young woman named Scheherazade, who every night tells a story to her husband to keep him from killing her. 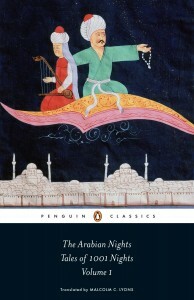 I it would be a cool story to tell, so I told it in the introduction of Episode 5a – Aladdin Part One sort of to give you some context, and also to kind of encourage you guys to read the Arabian Nights if you haven’t. It’s got some great and very famous stories. But Aladdin Part one, is a pretty long episode without me shoehorning a completely different story in. 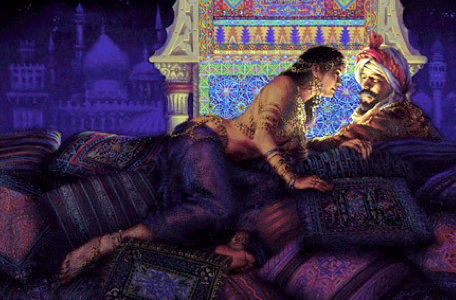 So I took the story of Scheherazade out of Episode 5a, but since it’s Scheherazade who tells the story of Aladdin and I think her story is pretty cool, and since it’s already recorded, edited, mixed and ready to go, I will tell it to you in this supplemental episode to whet your appetite for Episode 5 and to tide you over until that one drops.